According to a latest survey it is estimated that a huge budget is spent on the pets by the Americans each year which is higher than the defense budget of Germany. So that is a pretty huge expenditure. We go all miles in taking the best care of our pets, we bring them the best food, we provide them with finest places to live in. so here we would working on houses for dogs made with the wooden pallets. And I am more than sure all pet lovers are going to love these pallet wooden houses. 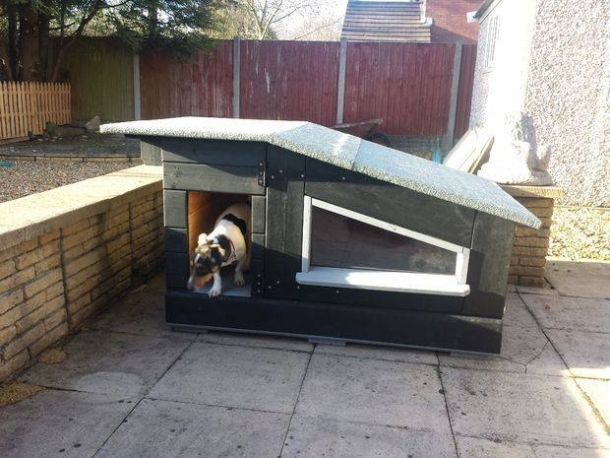 Look at this one, a hut shape pallet wooden dog house it is. 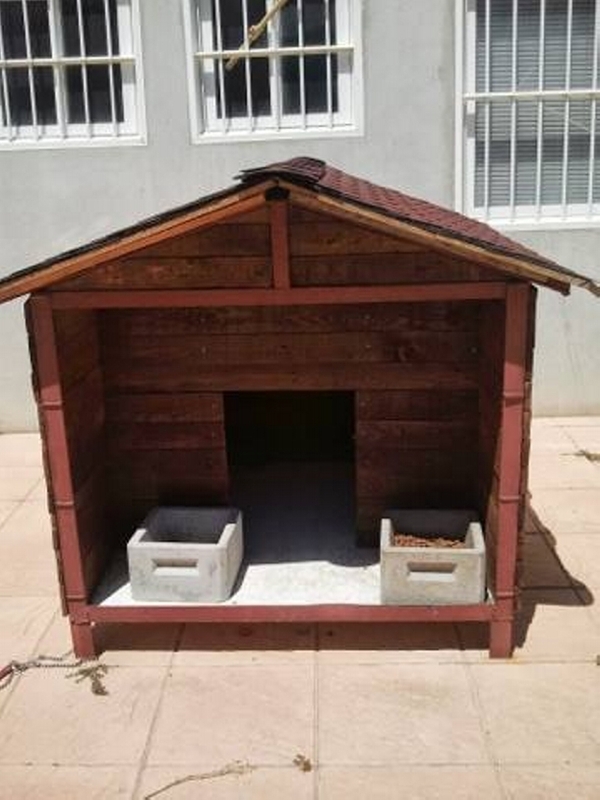 This is a huge one for your big animal, though some much deteriorated wooden pallet planks are used here in making this dog house. But it is still pretty perfect for your pet. 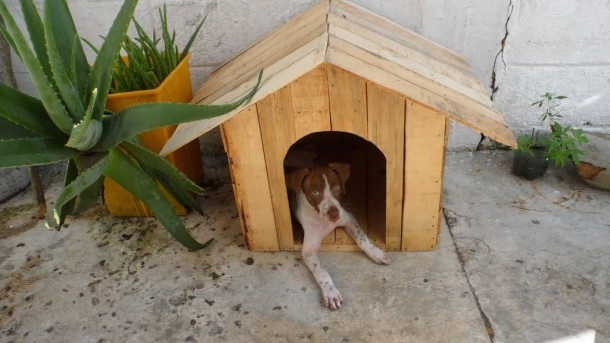 Here we come across a very splendid and decent dog house made using the raw wooden pallets. It is a mobile dog house with built in wheels on the bottom. This is too pretty to be placed outside the house, you can place it right inside the house. This would be a great addition. 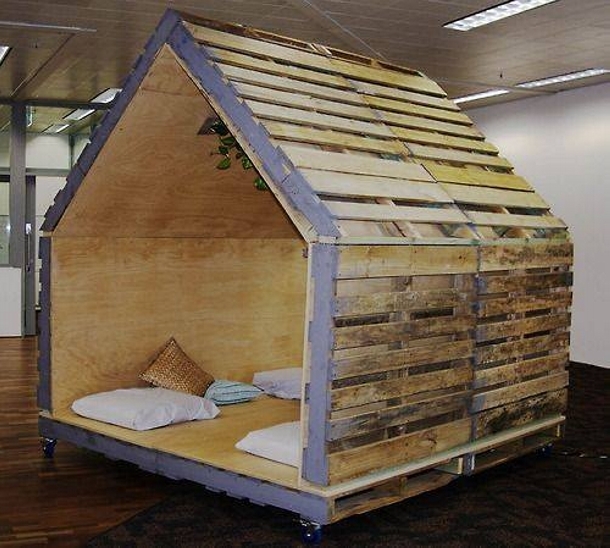 Wow, the next one is a real master piece recycled with the pallet wood. There can not be a more genius idea to use this pallet wood in a better way. 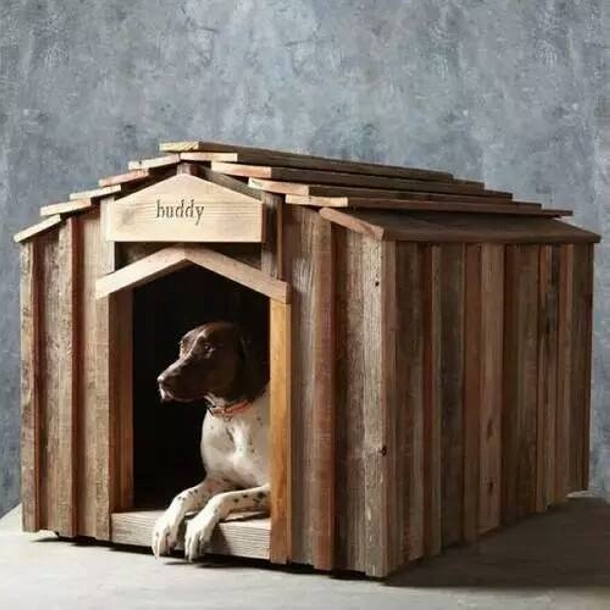 This is a very delicate pallet wood dog house, relatively smaller in size but pretty perfect for your small pets. 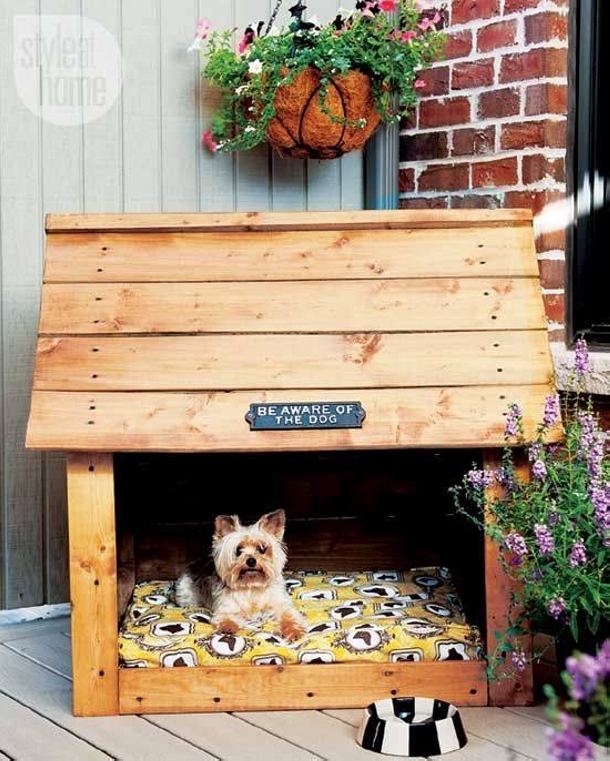 This one is again a very well designed pallet wood dog house. There is some additional space in the front for the dog where his food container is placed. And to sleep there is other space inside the cabin. 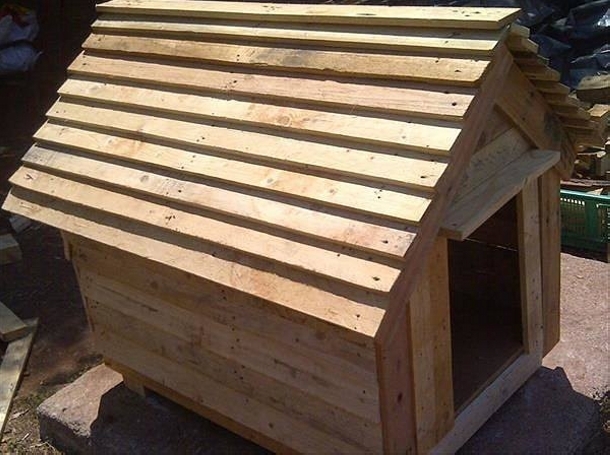 These all are really workable plans for pallet wood recycled dog houses.